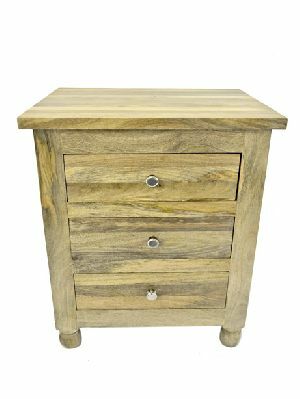 We are a reputed Wooden Products Manufacturer, Exporter and Supplier in India. 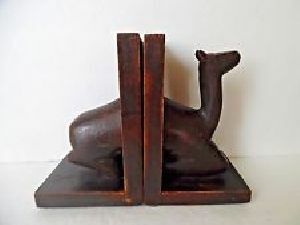 We present a wide range of Wooden Products which is inclusive of Wooden Carved Door, Wooden Wine Bottle Holders, Wooden Curtain Tie Backs, Wooden Carved Table and Chair, Wooden Candle Holders, Wooden Bowls, Wooden Alphabet Letters, Wooden Photo Frames and many more. 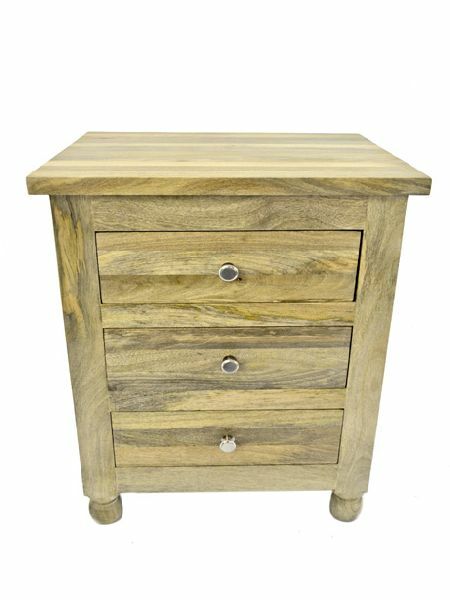 These Wooden Products are made using the finest quality wood and other materials. We are engaged in manufacturing, exporting and supplying an exclusive range of Wooden Photo Frames. We offer two types of Wooden Photo Frames namely Wooden Multi Photo Frames and Wooden Single Photo Frames. 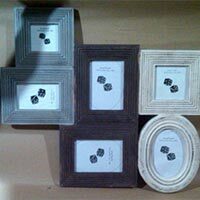 The customers can avail these Wooden Photo Frames in various designs and sizes as per the requirements. The Wooden Bowls, offered by us, are handcrafted and precisely detailed. 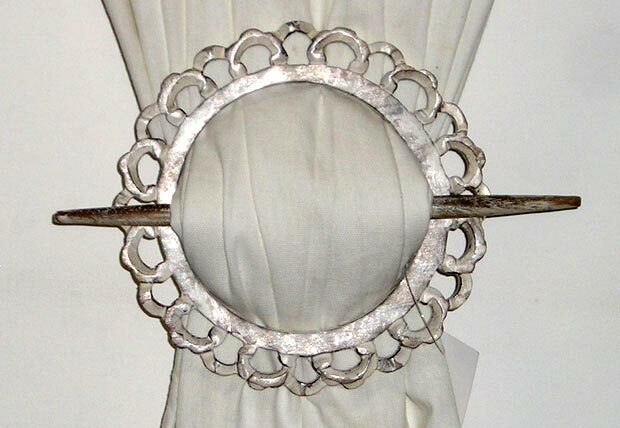 Owing to their attractive appearance, finished carving, trendy designs etc. our Wooden Bowls are high on demand. 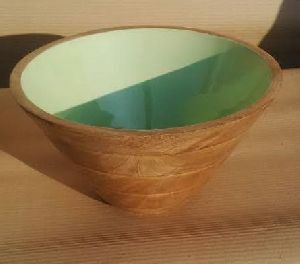 We offer these Wooden Bowls in different sizes and designs to cater varied needs of the customers. Avail the Wooden Bowls from us in bulk. Wooden Candle Holders, we offer, feature unique designs and elegant patterns. These Wooden Candle Holders are perfect for home dÃ©cor. 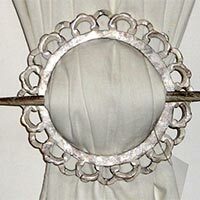 Our Wooden Candle Holders support the candles and avoid the wax to drop down on surface. 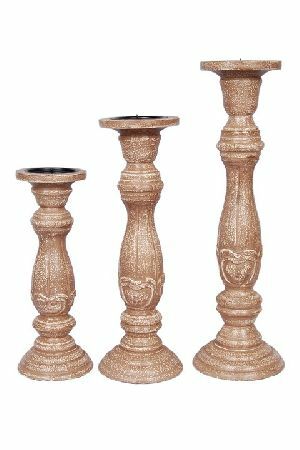 We are a renowned Candle Holders Manufacturer, Exporter and Supplier in India. We offer Wooden Carved Table and Chair precisely crafted by the designers in tune with the latest market trends. 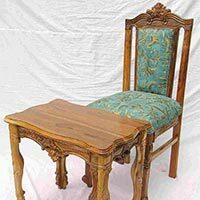 The Wooden Carved Table and Chair have high bearing strength and can easily bear heavy loads. Our Wooden Carved Table and Chair are high on demand owing to their excellent aesthetic appeal. Wooden Decorative Balls, offered by us, are used for decorating purposes. The Wooden Decorative Balls come with different designs, beautifully carved on them. These Wooden Decorative Balls can be hung on ceilings with the help of threads. We offer Wooden Decorative Balls in bulk quantity at reasonable prices. 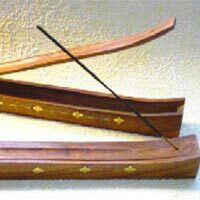 We offer a huge gamut of Wooden Incense Stick Holders to cater different taste and preferences of the customers. 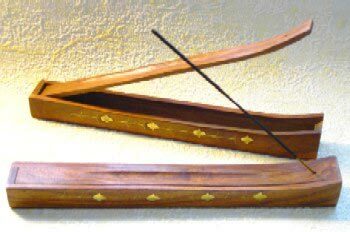 The Wooden Incense Stick Holders are appreciated for their sleek design, long service life, heat resistance and more. Avail the Wooden Incense Stick Holders from us in customized packaging options as per needs. 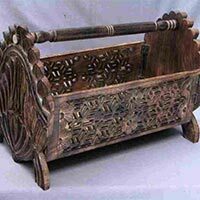 We are a well-known Wooden Magazine Baskets Manufacturer, Exporter and Supplier in India. Wooden Magazine Baskets, we offer, are used to hold the magazines in an organized manner. 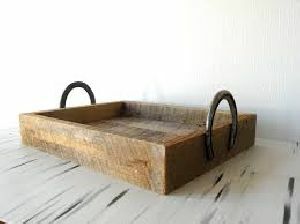 These Wooden Magazine Baskets are extremely spacious. 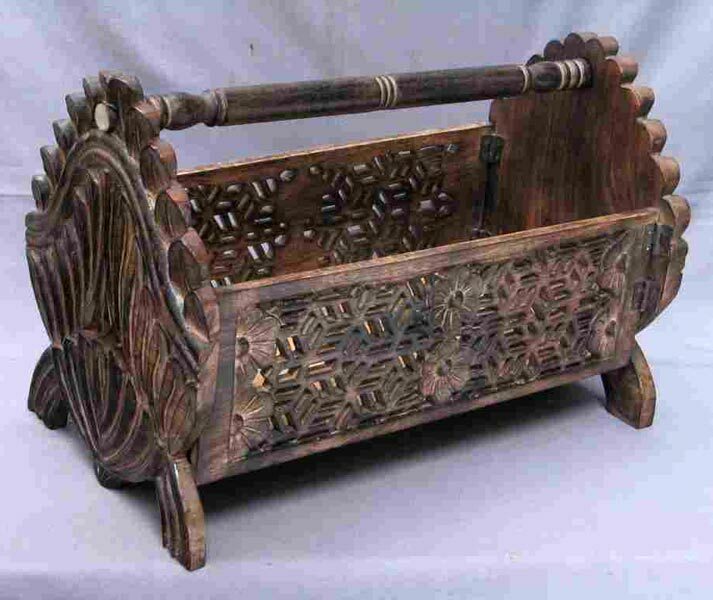 Avail the Wooden Magazine Baskets in various specifications, that too at market leading prices.